Tahle kapela si bez diskuze zaslouží status kultovní či legendární! Nemálo z vás tuhle smečku určitě zná a nemálo z vás na téhle kapele poznávalo a objevovalo styl zvaný grindcore. Brazilští veteráni, ROT! Bez velkého přemyšlení můžeme tuhle bandu přirovnat svým statusem např. k Agathocles. Kapela, která byla založena již v roce 1990 a má za sebou celkem pestrou historii, co se týče fungování i nahrávek. ROT was formed in 1990 by Mendigo and Marcelo, before this it was already working in the underground, being involved with other bands and projects or doing fanzines, trading tapes and keeping in touch with people around the world. The band has developed themselves in the underground, however, ROT can hardly be framed within the standards of metal or punk. In 28 years of existence - With a hiatus of 5 years old - a series of important works: 1990-1995, 1996-1998, 1999-2002, 2003-2008, 2013 -... 1990-1995. After the recording of the first 7"EP titled "Almighty God", the original drummer and bassist has leaved the band, Marcelo da Silva and Claudinei Vieira - friends who have always been in the rehearsals - are invited to participate, and with this formation they recorded a cd and seven more &’EP splits with bands from around the world. In 1994, were invited to do the first European tour our German band, Morbid Records Label. But due to a lack of experience and internal problems within the band, they couldn’t made it. Alex Bucho (WARHATE and BARFLY) enters the band replacing Marcelo da Silva on the bass, giving more energy and musicality, in a short space of time, recorded the Split LP with the band INTESTINAL DESEASE (Belgium), in which it aroused the interest of the band’s vocalist, also holder of the Grinding Madness Label in a 1996 European Tour Rot, 1996 – Ransgate/Inglaterra 1996 - 1998, after having settled in the style, have played in some smaller cities, the capital of São Paulo and some others states as Paraná and Santa Catarina the band leaves for the old world for a Mini tour, in a moment that only very few Brazilian bands had the chance to know in practice how the local scenes worked, dates that strengthened us and encouraged our return in 1998. Accompanied by another Brazilian band - ABUSO SONORO - and with a new drummer Mané (ex. INFERNO SONORO) were Thirty-two days and thirty gigs on European soil, mostly accompanied by the bands: WOICZECH, ENTRAILS MASSACRE, from German, and the danish DEEPREST. 1999 – 2002. Without a drummer and no expectations to return active, the end of the year 2000, Ricardo Trassato takes on the drums, with 28 songs ready, We recorded our CD "A long Cold Stare" Recorded at the Ancients Valley's Tower Studio in June and July of 2002. In August / September of the same year, we did the tour of this last LP, considered by many to be the band's best album. 2003 – 2008. The band undergoes another painful process, the departure of Alex Bucho at the bass, also assuming the second voice. In common agreement, they decided to have an independent vocalist, one also known and friend of many decades Jeferson Pizone (Ex-TAPASYA), and about four different bassists who did not get used to the rhythm of the band. With the departure of the singer and co-founder of the band, Marcelo Batista. The band recorded without his presence the Split 7 "EP with the German friends of WOJCZECH and a Split CD with the friends of Brasilia DEATH SLAM. Marcelo returns to the band, Ricardo leaves the drums and enters Rafael de Oliveira (Ex-DISPESIA). After recording more 7 "EPs, they did some gigs in Brazil, the band decided to give some time for a hiatus, with no set deadline, since the members were connected in other projects. 2013 - ... Mendigo and Rafael decide to do a rehearsal to rescue and create new songs without commitment, which ended in the return of the band. In addition to the return of Marcelo and Alex, they decided to call a very old friend of the scene, Marcolino Jeremias (formerly DEADMOCRACY) for the second rehearsal. Of course, the rhythm of the band was different, they did not have as much time to compose as it was in the past, with members living in differents points of São Paulo and after almost a decade without recording anything, the band came back to a studio between June and July 2015 and recorded 12 unpublished sounds that make up the ep entitled "Nowhere". This Ep definitely marks the return of the ROT as well as reaffirming the style that the band has been practicing all these years, but after some few live performances of the EP release, the band suffers significant losses in its formation, but does not discourage and returns with enough breath that remains the same to a year and to symbolize the event, they release their most recent work the Virtual Ep "worshiping their own chains" containing three songs of the good old grindcore, available for Free Download. Alex Bucho: Bass - Also plays on CRUEL FACE and sometimes on SOCIAL CHAOS. He manages the label BUCHO DISCOS, which is turning 21 years old this year. Producer of underground shows. 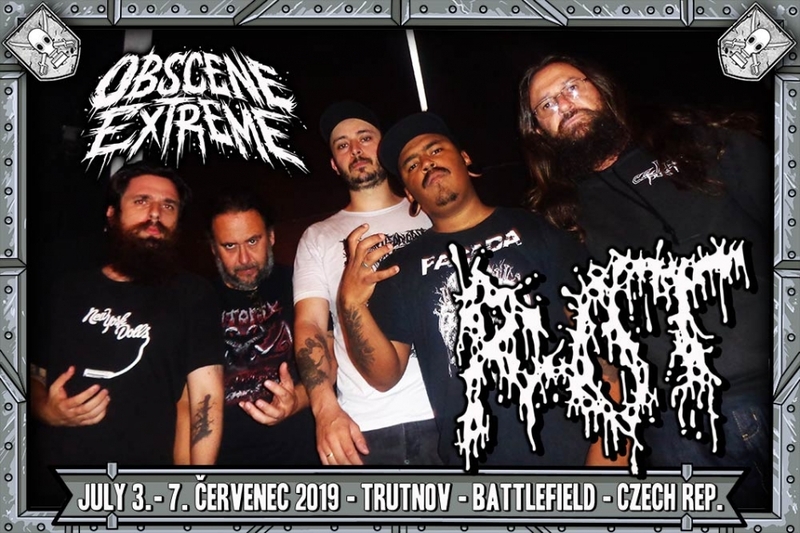 He did some tours with bands like AGATHOCLES, MOB47, ROVSVETT, INTESTINAL DISEASE, ENTRAILS MASSACRE, WOJCZECH and etc. Emiliano Borges: Drummer - Ex bands: MIOLO DI PÃO, CAOS 64, BRAIN DEAD, INDIVIDUAL, INSANITY FORCE and LEI DE MURPHY. Currently: ROT e SKARNIO.